With over 20 years driving and modifying 4WD vehicles, and 15 years photographing them, the move to a new LandCruiser 200 seemed like an ideal opportunity to combine these passions, which led to Project 200, the ongoing documentation of the vehicle build. Subsequently, we have also documented the ground-up construction of an off-road camper trailer, and some documentation of a previous DIY engine conversion, where a 1VD-FTV engine was transplanted into a Toyota Landcruiser 100 series (an HZJ-105 to be precise). Following their participation in the Project 200 build, I've also been asked by Australian manufacturer FYRLYT driving lights to perform some comparisons between their lights and some alternative products on the market. Want to build your own camper-trailer, but don't know where to begin? Check out diycamper.com.au, which provides all the information you need to produce a premium home made camper trailer from the ground up. Includes information on legalities, design, chassis/body construction and electrical setup including an installation video for a REDARC battery management system and solar panels. Project 200 is an ongoing series of articles and videos with comprehensive step-by-step guides to choosing and installing the ultimate accessories for your Land Cruiser 200. Improving the performance and durability of one of the most popular 4WDs in the World, allowing it to thrive in harsh outback terrain. 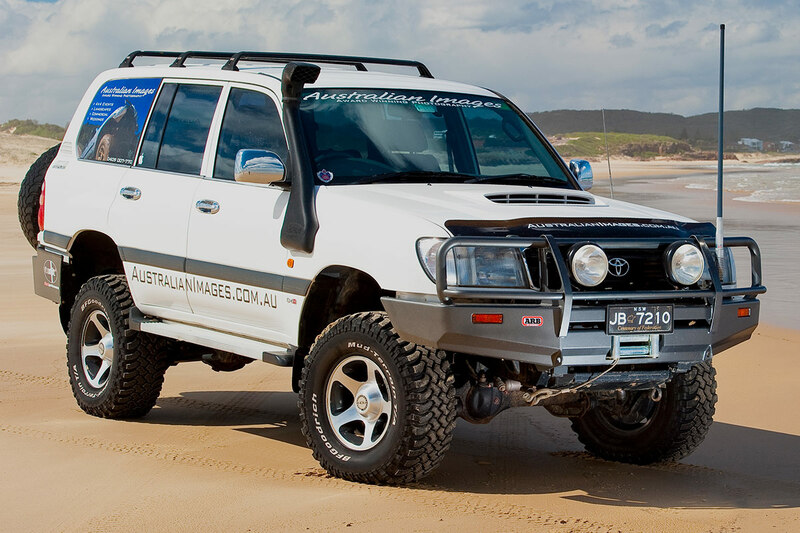 Featured in Overlander and Unsealed magazines, and with around 30000 views every month, Project 200 is by far the World's most popular source of guides for upgrading the Toyota Landcruiser 200 series. Back in 2009, I was driving a HZJ-105 LandCruiser, powered by a 1Hz engine fitted with an aftermarket turbocharger. I didn't want to upgrade to a 200-series, and I didn't want a 70-series, although I liked the engine. So I made the decision to transplant a single-turbo version of the 1VD-FTV engine into the 105, creating the world's first VDJ-105 LandCruiser. It was a complex conversion, having to get the electrical system from the common-rail V8 diesel to integrate into the relatively primitive older 'Cruiser. I hadn't originally planned to document the process, but have put together as much information as possible in case anyone else would like to consider undertaking such a conversion. A side-by-side comparison of the Fyrlyt Nemesis and Lightforce HTX driving lights. The Nemesis is a 210mm Australian-made driving light, with a 24v/250w halogen light source. The HTX is the World's first hybrid driving light, featuring a 170mm centre reflector with a 70w HID light source, surrounded by a ring of 20 4-watt LEDs. 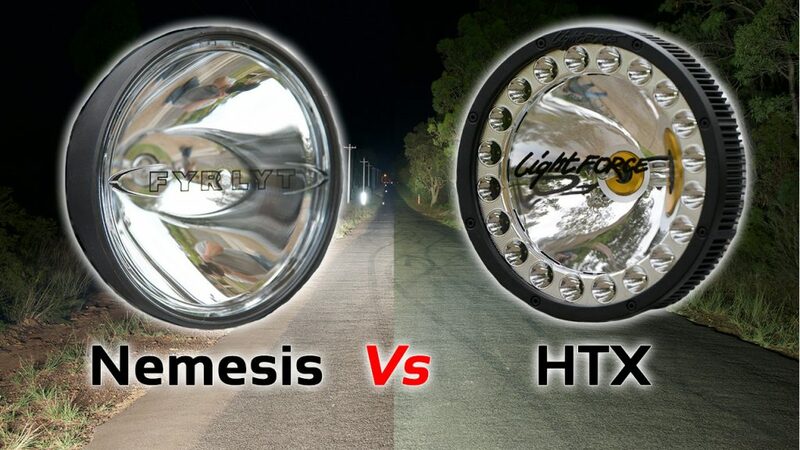 I've been running the Nemesis lights on my 200-series for several years, so when Fyrlyt offered to loan me a brand new pair of new HTX hybrids, I was keen to compare the two lights out on the road. Click through to watch a video, see some side-by-side images and read my assessment of the two lights. 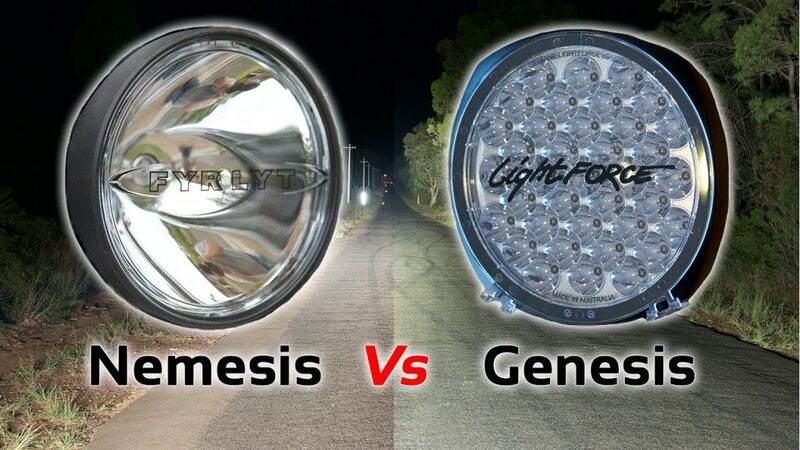 A side-by-side comparison of the Fyrlyt Nemesis and Lightforce Genesis LED driving lights. The Genesis LED is also a 210mm Australian-made driving light, but uses a cluster of 37 LEDs as the light source. I've been running a pair of Nemesis lights on my 200-series since 2015, so when Fyrlyt offered to loan me a brand new pair of new Genesis LEDs along with the HTXs above, I was keen to compare the lights out on the road. Click through to watch a video, see some side-by-side images and read my comparison of the two lights.